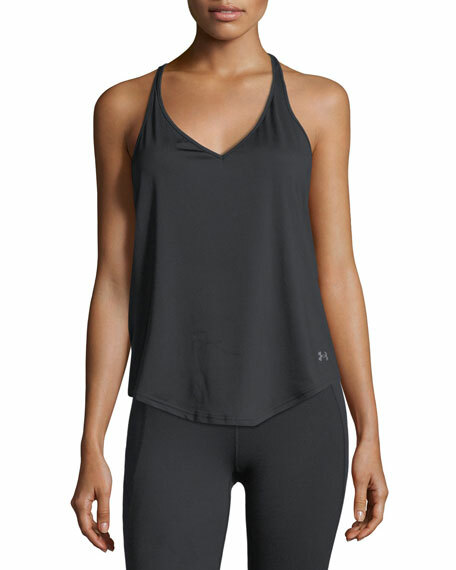 Under Armour "Flashy" studio tank in performance fabric. UA StudioLux® fabric delivers relentless support. Moisture wicking, quick drying, and 4-way stretch. For in-store inquiries, use sku #2336198. Aurum "Truth Layer" performance tank. Deep scoop neckline. Spaghetti straps. Open cross back. Loose, easy fit. Pullover style. Logo foil at back. Polyester. Imported. Model's measurements: Height 5'10"/177cm, bust 33"/84cm, waist 25.6"/65.2cm, hips 35.8"/91cm, dress size US 2-4/FR 34-36. 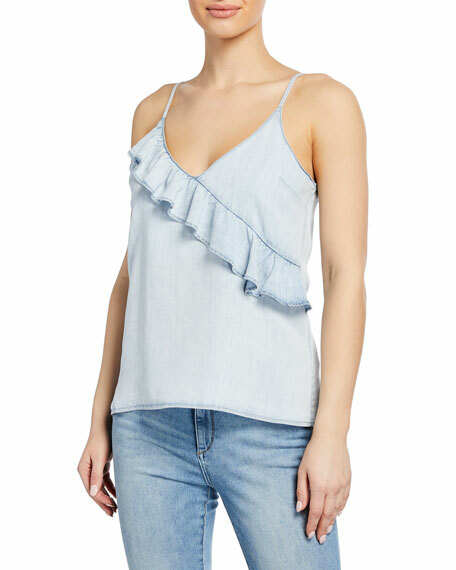 DL1961 Premium Denim "Carmine" tank top in chambray with oblique ruffle across front. V neckline; scoop back. Sleeveless. Semi-fitted. Straight hem. Pullover style. Tencel lyocell. Machine wash. Imported. 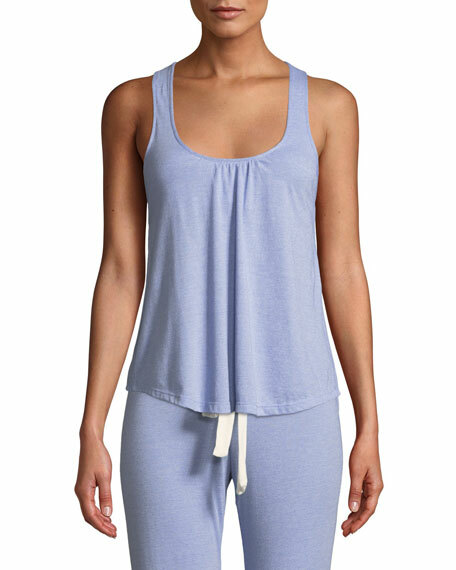 Soft slub knit Eberjey tank. 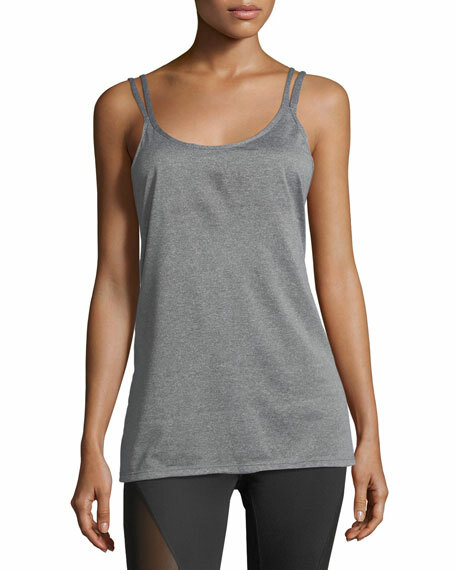 Lightly gathered scoop neckline; racerback. Eased sweep. Slight shirttail hem. Pullover style. Polyester/cotton/rayon. Imported. Exclusively ours. 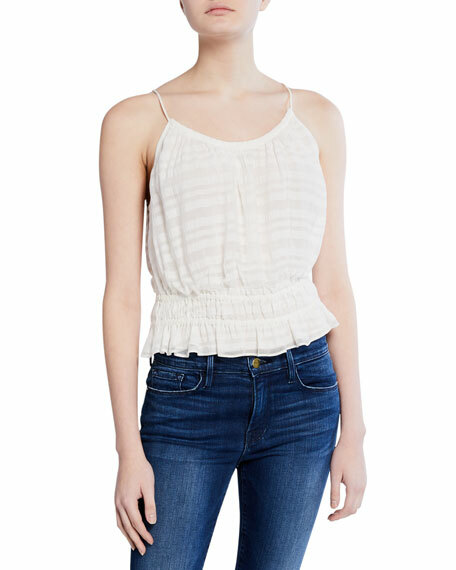 FRAME tank in tonal stripes with smocked panel. Scoop neckline. Sleeveless. Relaxed fit. Cropped hem. Pullover style. Viscose/cotton/virgin wool/spandex. Viscose lining. Machine wash. Imported.